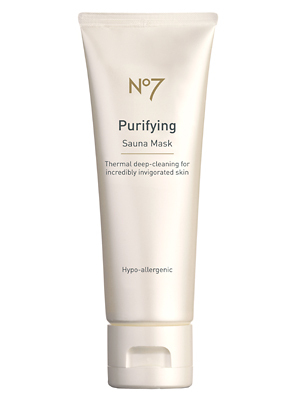 If $40 is too steep a price tag, let me introduce you to a less expensive and similar alternative from Boots No7. Their hypo-allergenic warming mask has me smitten. It also contains zeolite and heats on contact with water and detoxes pores to do away with oils. Leaves skin soft and noticeably brighter while it’s kaolin clay draws out oil. Plus it contains grape seed oil — one of my very favorite antioxidants for anti-aging and evening out skintone. Trust me, with warming masks, you’ll feel like you’re getting the spa treatment right at home. Have you ever used a warming mask? Anyone have favorites? My style is: Rocker Boho Chic which translates to a mish mash! The song I have on repeat right now is: Florence + The Machine’s Shake It Out because it makes my 3-year-old dance like a lunatic! Growing up, I really wanted to be: a teacher but then I realized I wasn’t a big fan of other peoples kids! The best part about being a hair stylist is: the ability to almost instantly completely change the way a woman feels about herself by giving her hair that makes her feel beautiful. 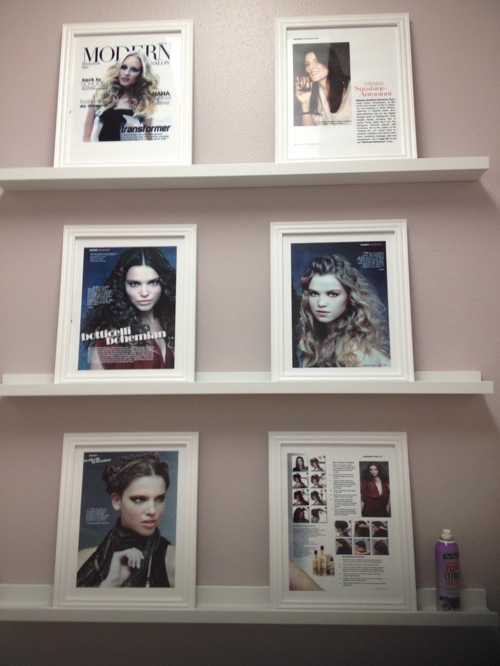 The worst thing you can do for your hair is: Over process it! Blonde-er is not always better! People usually compliment my: Skin and blow drying arms! I’ll never forget the time: I secretly saved up to buy my husband a Rolex for our 5-year anniversary. I was awful with money, and not only was it a HUGE surprise to him, it completely changed the way I handle my money. For my skin, I use: Osmosis and Botox! My favorite place in the whole world is: The Viceroy Zihuatanejo because my husband and I can both completely relax when we’re there. Current beauty product obsession: Bobbi Brown Bobbi Brown Tinted Moisturizing Balm because it gives me light coverage, SPF and dewy, glowing skin. Worst habit: Checking my Twitter, email and Facebook a gajillion times a day! When I travel, I MUST have: My iPad, my Canon EOS 60D camera, Tyler Rose bikinis, my hubby and plenty of Xanax. I hate to fly! People might be surprised to know that: I only wash my hair once a week! My current favorite hair product is: Après Beach spray by Oribe. It creates amazing volume and texture, glossy shine and smells like heaven. I don’t understand people who don’t like: Cutting loose on the dance floor! Though I can make a mean: grilled rib eye steak. I hope in 5 years:I’m still getting carded to buy alcohol!!! Who inspires me: My three kids, fashion, travel and photographer husband. People often claim to know the exact moment when they realize they’ve met The One. Some say they feel a strong sense of certainty, while others report an overwhelming feeling of comfort like they are “home.” Both of these pretty much sum up my experience at ByuTi Salon (pronounced simply as “beauty”) in Brentwood, the newly launched hair haven from hairstylist Natasha Sunshine. 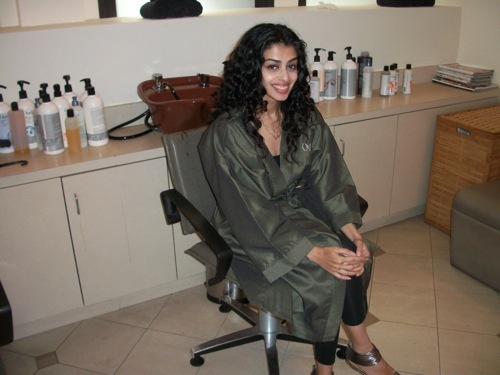 Sunshine, who has tamed the manes of socialites and celebrities like Ivanka Trump and Molly Sims, recently added her second salon to the West Side area. Her Brentwood salon is more tucked away than the Santa Monica location, so it’s perfect for people like me who want to relax when they get their hair done. The interior, which was designed by Sunshine’s husband, is much nicer than you’d expect from a salon located in an unassuming business complex off of San Vicente. The warm, ebony wood and modernist design gives the salon a zen-like feel. It’s hard to be stressed out when you’re gazing out their floor-to-ceiling windows at the bright blue sky! 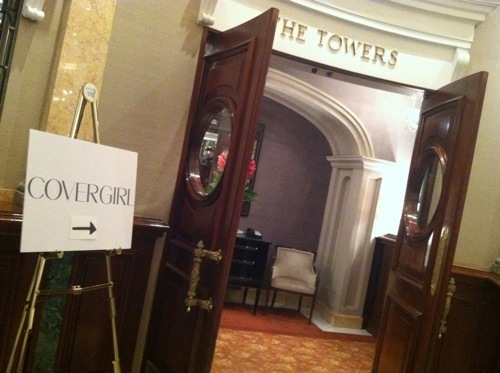 Oh…and did I mention that they serve champagne on the weekends? Score. I’m always nervous to get my hair cut by anyone other than my regular guy in New York, Sean at Jeffrey Stein. True story: even Frédéric Fekkai himself couldn’t tame my crazy mane as well as Sean. He gets my hair right EVERY time. It’s the longest relationship I’ve had with a stylist. When I lived in New York, he was The One. Sadly, I’m finding it increasingly difficult to carry on with this “long distance relationship,” so I’ve been on the prowl for someone in SoCal. ByuTi’s rep set me up with Sam, an artistic, free-spirited European by way of DC. The other stylists seemed to give attractive cuts, but as I got to know Sam, I had that moment every person dreams of, in love or beauty–I realized that I’ve just met The One. 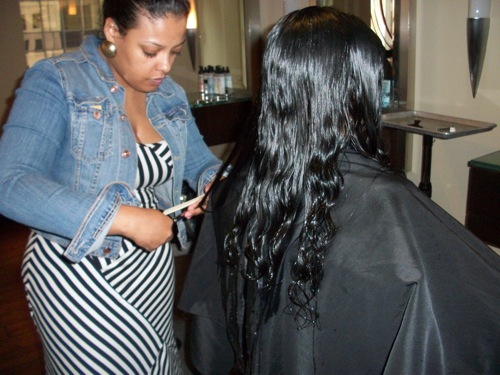 I felt safe with him as soon as he verbalized all of the issues I have with my hair texture and current cut. Other stylists ask me what I want from a cut. 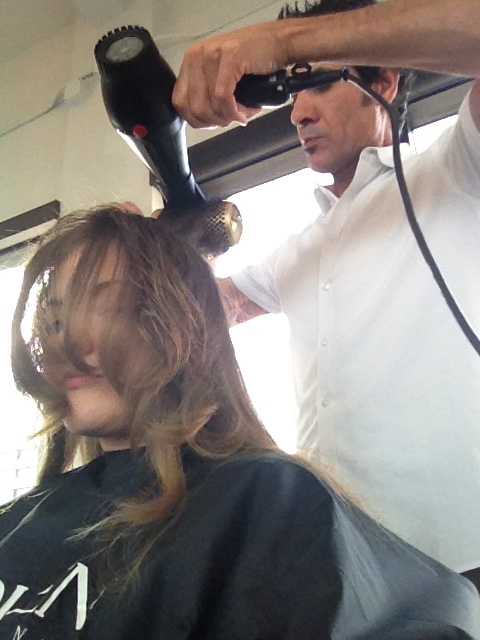 He asked, but he also told me what my hair needed…and he was dead-on accurate. Sam approached my mane with an artist’s eye. Watching him cut hair was a little like watching Edward Scissorhands work his magic on the ladies of that candy-colored town. He was intensely focused on what he was doing and his movements were so quick that it was incredibly clear he was about to give me a successful cut…and that is EXACTLY what he did. Somehow, Sam managed to transform what was previously a boring, trapezoidal mess into a mane with movement and life. My cut -- what do you think? I was so happy about this cut that I was in the bathroom snapping my ‘do for a good 15 minutes. 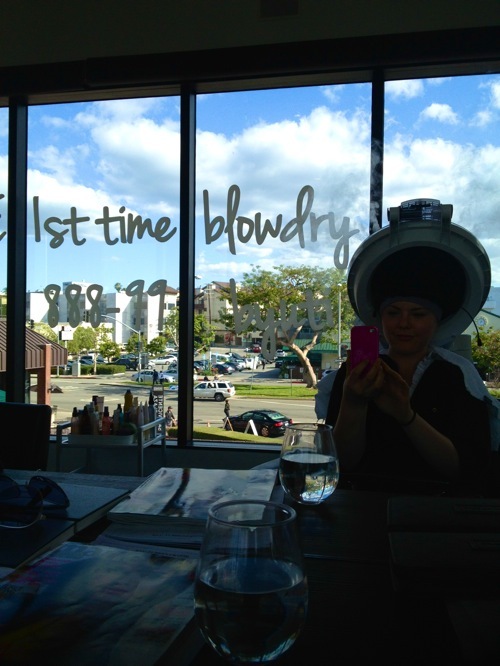 Next time, I think I might have him lighten my strands–which is my way of getting serious with a stylist. I think I’m in love! P.S. When you go, you might want to check out their moisture treatment. It turned my dry strands into silk. You spend a good portion of time looking like a cartoon character with steam coming out of your ears (see pix), but it does wonders to restore hair texture! CoverGirl is winning my heart more and more these days. Not only does their makeup continue to improve (more on this in a mo), but also they really know how to throw a party. This time, it was at the iconic and beautiful Palace Hotel. But when I entered the corner suite, instead of looking out over the gorgeous, shimmering streets of New York, I saw nothing but mirrors lining the windows. The reflections of the women in the room carried their own unique beauty, and I was happy to sacrifice the city view. 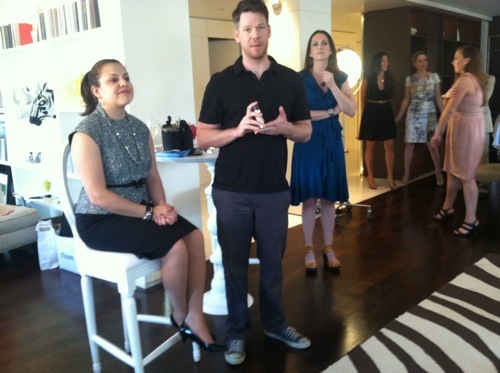 The event was an ode, of course, to makeup, but it was especially focused on learning professional tips and tricks–many of which surprised me. 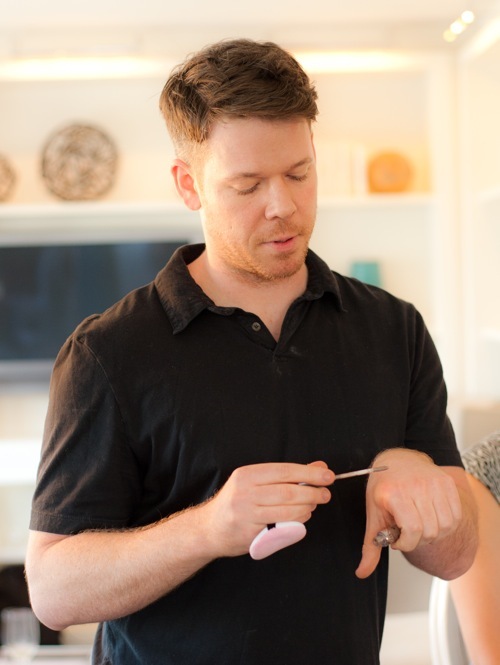 Jake Bailey, makeup artist to the stars (and uber-cute guy), was here to teach us how to do a summer sultry look, with the help of his friends. 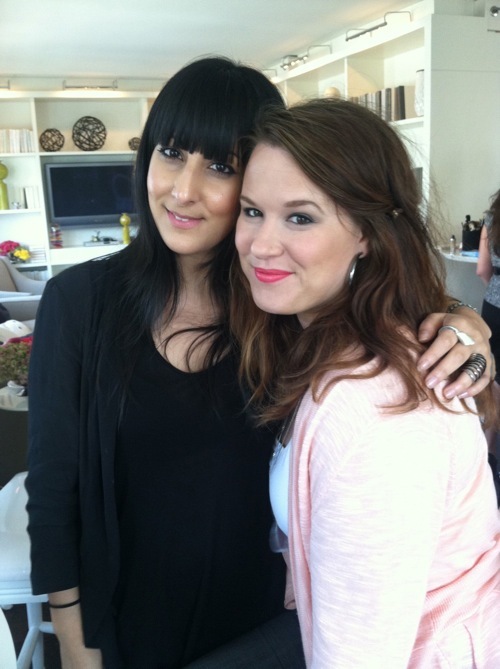 I sat down with my personal makeup artist Jessica Ortiz, ready to be schooled. As Jessica and I watched, Jake began with his model what I can only describe as a life-changing lesson. Not because what he said was especially revolutionary–except that what he said was so simple, so intuitive, that it was revolutionary to me. His focus was (I’m paraphrasing): keep it simple. Less is more. And use your fingers. But before I get to the tricks, let’s talk about the makeup. 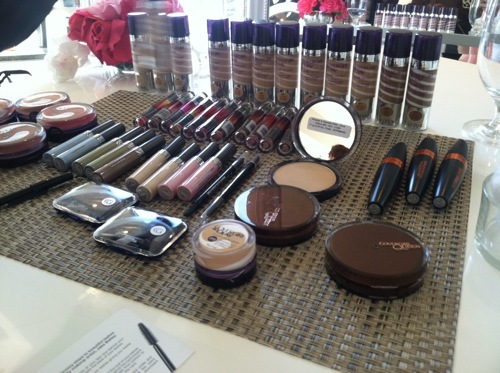 CoverGirl’s focus of the day was two of their collections: the Blast line and the CoverGirl/Olay Simply Ageless line. The Blast line is all about big, bold, long-lasting. There’s a 24-hour mascara–which, from what I can tell by Jake’s subtle irritation when he said, “This mascara is more than 24-hour. It’ll stay on forever”—is damn hard to take off. But sometimes a girl needs mascara like that. There’s also the Blast Eyeliner, which goes on SO smooth and is a bold, kohl black (but keep the cap on at all times, because it’ll dry out if left uncovered). There’s also the Blast Flipsticks, designed by the lovely Pat McGrath, which I am desperately in love with (there are two tones on the stick, which you can use individually or as an ombre look… amazeballs). The Olay line is, as you can imagine, all about skin care. But what’s really special about it is that Cover Girl’s scientists have focused on coverage for the foundation, powders, and blushes (CREAM blushes! 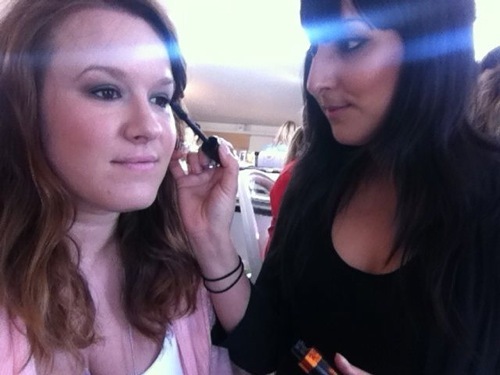 ), and as a result, the makeup applies incredibly smoothly, gives a natural glow, but absolutely STAYS ON. Jessica, the makeup artist who was doing my look, swears by this line. — Use black eyeliner. Sure, you see purples, browns, and greens in magazine editorial shots, but that’s not how you’ll achieve the everyday pretty look most of us are going for. No matter what your skin tone, no matter what your eye color, use black. It’ll bring out the luminosity in your eyes, which is the ultimate goal in looking pretty. — No matter how thickly you apply it (which will depend on the look you’re going for), get as close to the lash line as possible, even on the line underneath your lashes. — When applying mascara, it’s more important to coat the root of the lash than the tip. — Jake did something that was amazing: he essentially scribbled black eyeliner on his model’s lid, making a total mess, then smudged it, and covered it with Intense Shadowblast liquid shadow (which has primer in the formula–it does NOT come off). I was stunned. The look was rich and—exactly what he was going for—sultry. Here’s what I was reminded of during this demonstration: makeup is an art. Be creative, and resourceful (Jake said he uses lip glosses as blushes ALL the time), and don’t be limited by the labels of the makeup. — Jake is a huge proponent for using your fingers when you apply makeup, especially on skin. He says that the emollients in your fingers help you to apply just the right amount, and to cast just the right kind of chemistry between the makeup and your skin. It’s such a simple trick, but in today’s makeup world, where it feels like you need a brush for every little detail, it’s refreshing to remember that our fingers are sometimes our best tools (that’s what she said…sorry. couldn’t help myself.). — Don’t be afraid–or ashamed–of Q-Tips. Makeup falls out. Makeup smudges. Hands shake. You blink. All kinds of things happen that make little errors impossible to avoid, even for the highest-paid most talented artists in the business. So don’t feel bad if it doesn’t go perfectly the first time. Just grab a Q-Tip (or use your finger), and fix the smudge. Do you guys already use any of these tips? Have any other ideas for resourceful, intuitive makeup application? Share it! And let us know if you have any questions. I learned a wealth of information from Jake and Jessica, and probably retained more than I wrote down. So let the questions flow! We’ll answer as many as we can. For a die-hard curly girl such as myself, there is but one holy grail: a haircut from Ouidad, the salon legendary for being a curl’s best friend. For years I’ve admired the brand from afar, using Ouidad’s products and dreaming of the day I’d finally be able to introduce my own curls to her patented Carve and Slice method. Well, BATFers, I’m pleased to announce that day finally arrived last week. 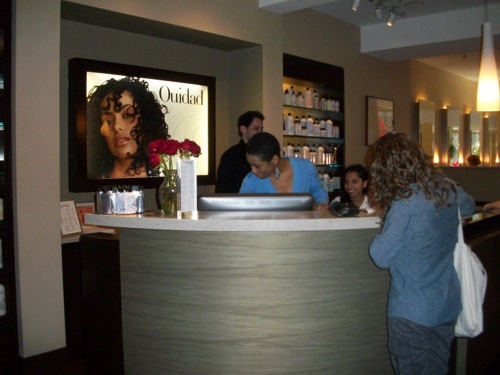 As soon as I set foot into the Ouidad flagship in Midtown, I knew something special was going on. The universal leaving-the-salon look known all too well by women the world over—shiny, glossy, bouncy, and straight—was nowhere to be seen. Everywhere I turned, there were women leaving their appointments with glorious, lustrous, luscious ringlets. Thick spirals, tight coils, loose waves—there was a veritable curlocopia of beautiful locks all around me, and nary a single straight strand to be found. Finally, my tresses had found their temple. It isn’t easy being curly. I’ve often written about my own trials and tribulations with a crowning glory that generally refuses to obey orders. But if anyone could help me manage my mane, I figured it was Ouidad’s team. Jessica whisked me off for a shampoo, and talked me through all the basics of curly care—essentially a crash course titled “What Sarah Khan Has Been Doing Wrong All These Years 101.” I never condition my hair when I just rinse it; I don’t use water-soluble products, yet I wonder why my curls often harden or feel crunchy. 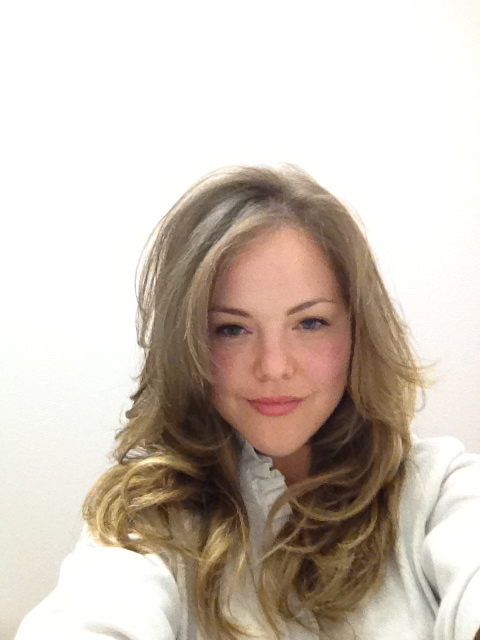 Then my stylist Melissa descended upon my mane, deftly flitting her scissors across my strands. After a five-minute blur, the cut was over—I’m not sure exactly what went into it, but somehow she got rid of my admittedly too-long dead ends and still ensured my hair wasn’t too short. Best of all, somewhere along the way she slightly thinned out my curls as well, ligtening up my hair and making it more manageable. Then began the fun part. All these years I thought I was blessed to be able to wet my hair, douse it in some product, and walk out the door in five minutes or less, while my friends subject their strands to hours worth of blowdrying and styling. Evidently, I’ve been getting off too easy. 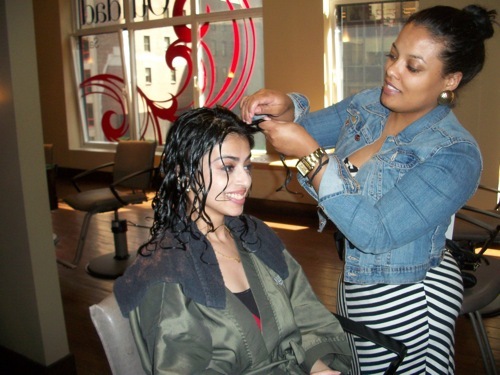 Styling curly hair can be very time consuming, I quickly learned, as Melissa sectioned off my hair and slowly applied dime-size dollops of Moisture Lock gel cream to my entire head, loosely shaking the strands to help form the curls. Clips were set in the top, to add volume to my crown—something I’ve always wanted, but wasn’t sure how to achieve. And when that process was over, I was sent off to sit under a hood to dry my hair, for what felt like close to an hour. It was probably less, but I’m not used to spending more than 15 minutes on my entire morning routine, including my shower, so this was something of a departure for me. And also a revelation. Because as you can see, the results were definitely worth it. I left the salon holding my curly head high, and I have never gotten as many compliments on a haircut as I have in the past few days. 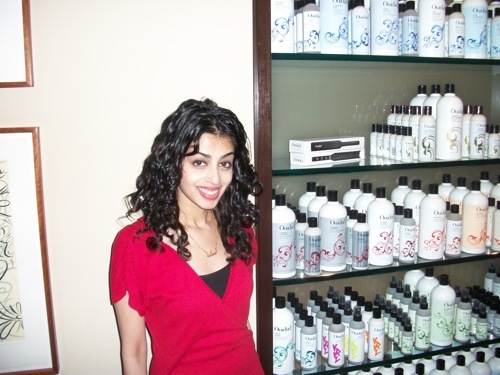 Ouidad, now that we’ve finally gotten acquainted, I’m pretty sure you’ve spoiled my curls for any other salon. And that’s just fine by me. Sarah Khan is an editor at Travel + Leisure magazine. You can read more of her work at www.bysarahkhan.com or follow her on Twitter @BySarahKhan. 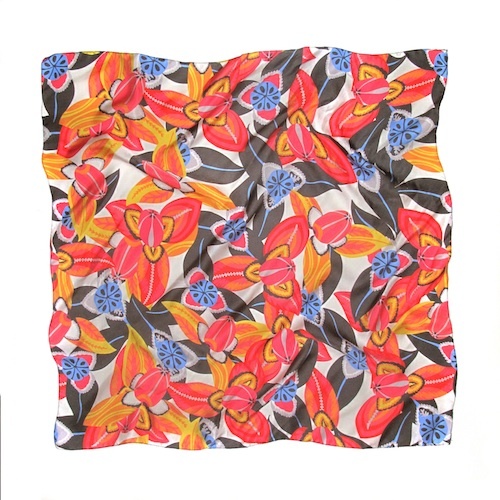 Win a Thakoon Scarf with Nars! To celebrate this month’s launch of the bright Thakoon for NARS nail collection, today NARS is launching a contest for you to win an exclusive, not-available-for-purchase Thakoon scarf inspired by the collection! The colors, by the way, were based of his Spring 2012 collection, dubbed “Bollywood Western” and includes names like Lal Mirchi, Amchoor, and Koliary. All you have to do to enter is Instagram an image of your lips and nails with the hashtag #NARSThakoon! On May 29, you’ll be able to click back to the “NARS FB Exclusives” tab on their Facebook page and vote for your favorite entries. Get snapping!